What are you left to do after collecting every video game ever made? Well, you play what you can of course, then I guess you sell your collection at some point. What else can you do, but look at them on the shelf? 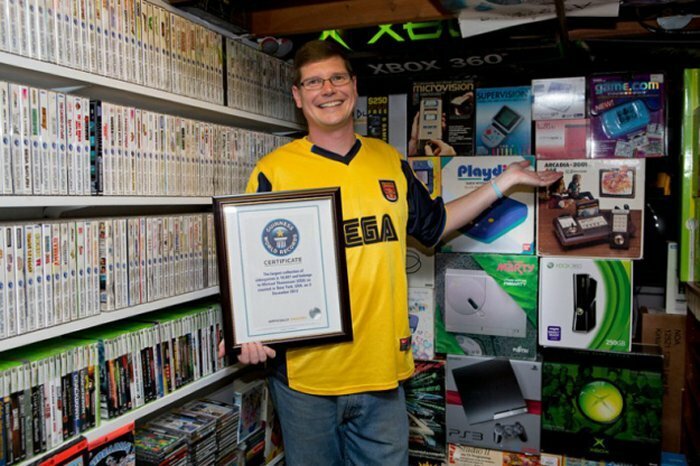 Michael Thomasson sold his collection of more than 11,000 games and 100 different consoles on gaming auction site GameGavel for $750,250. That is an amazing price since whoever bought it can never come close to playing all of those games. I wonder what they plan on doing with all of these games. Thomasson says that he decided to sell his games due to “family commitments,” but don’t worry, he isn’t through with gaming. He will keep buying games in the future. Now he has plenty of money to do just that, for quite a long time. Apparently bidding got extremely competitive over the last few days of the auction when the price got pushed up. Getting over three-quarters of a million dollars for a bunch of video games is pretty awesome. I bet his wife is the happiest of all. Now she won’t have to look at all of those games cluttering her living space. I’m sure she loves the money too.